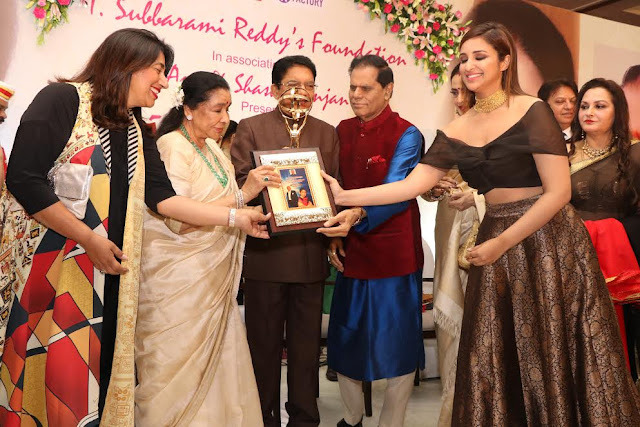 Legendary playback singer Asha Bhosle was presented with the 5th Yash Chopra Memorial national Award 2018 by T Subbarami Reddy foundation on 16 February at a star hotel in Mumbai. The fifth recipient of the award, the singer was felicitated by TSR, Hon'ble Governor of Maharashtra Shr. Vidya Sagar Rao, Rekha etc. Rekha kissed Asha and even touched the latter’s feet. 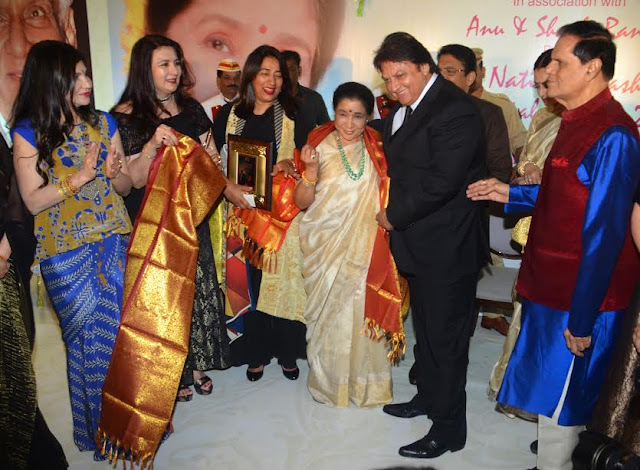 Also present at the event were Pam Chopra, Alka Yagnik, Jackie Shroff, Parineeti Chopra, Poonam Dhillon and Jaya Prada and other bollywood celebrities.